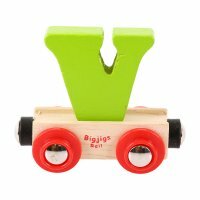 Bigjigs Rail Name carriages are loaded with a brightly coloured wooden letter. 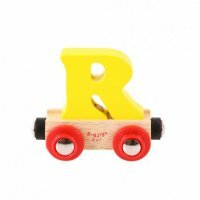 Each letter is removable and can be interchanged with other wagons and carriages. 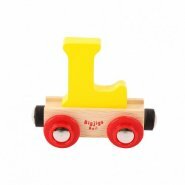 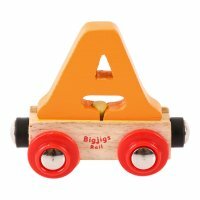 The Bigjigs Rail Name range is ideal to personalise your wooden train set, or as a special newborn, christening or birthday gift. 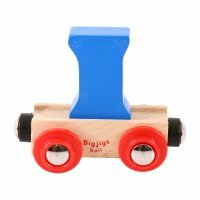 Magnetic couplings ensure compatibility with all other engines and carriages in the Bigjigs Rail range. 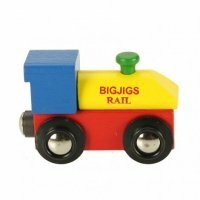 Rail Name letters are not designed to be compatible with Rail tunnels.